Dimension is a careless thing, wondering wherever it pleases. But fastened to a page, even snapshots of 3-dimensional figures with familiar shapes and horizons lack the feeling of depth. Visual artist Christopher Arabadjis responds to this with drawings devoid of classical appeal and color; instead, he extracts their basic foundations of texture and shape to make them the only focus. 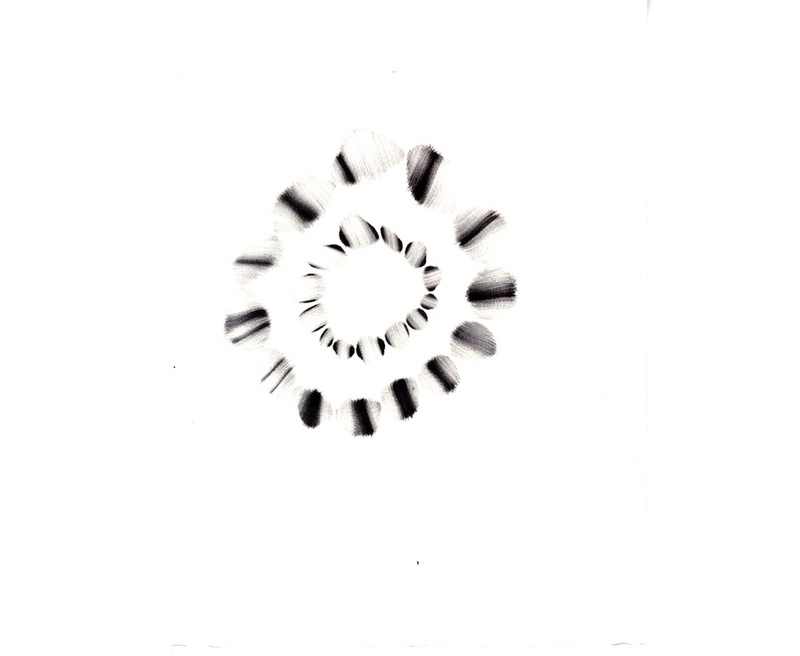 The organic buoyancy in Arabadjis’ drawings then forces the grain to either sink or lift each element off of the page. To accomplish this, Arabadjis hand stitches different patterns together using nothing more than a ballpoint pen. He draws inspiration from his background in mathematics, nuclear physics, software engineering and fine arts to erase the normal division between science and art. His scientific curiosities are easily revealed through his drawings which involve replication, propagation, and growth. These components within each drawing are modeled from physical processes and individual patterns that form and fold in the atomic, cellular, and macroscopic world around us. Similar to biology, Arabadjis suggests that mistakes generate mutations and introduce creativity to the normally rigid rules. Small errors in the patterns are not only inevitable, they’re necessary for innovation and progress. While algorithms govern the shape, location, and orientation of the patterns, eventually offshoots allow textures that would normally never touch to fuse into new quasi-dimensional structures. 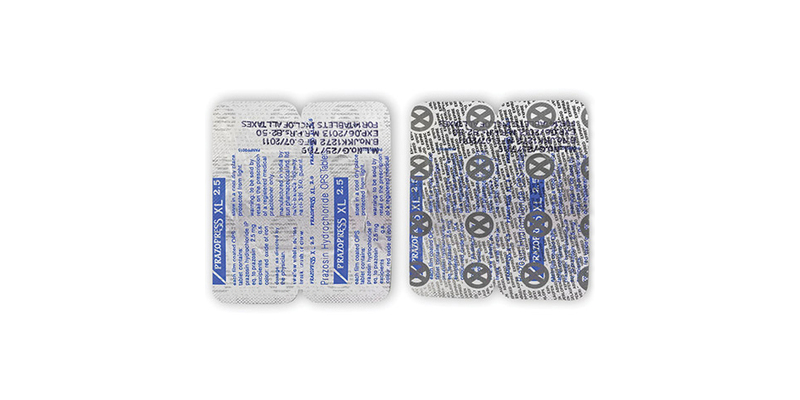 Designer Kanupriya Goel and Biologist Guatam Goel have developed packaging material that overtime, the ink will bleed through until the icon for danger is clearly displayed, signifying that the medication has passed its expiration date. 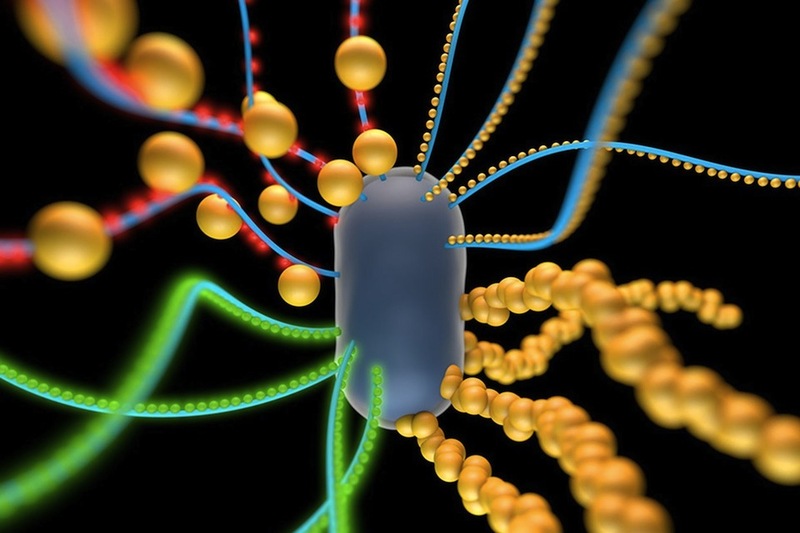 MIT scientists have discovered how to tap into the powerful world of bacteria to create bionic biofilms of nanowires, quantum dots and electricity conductors.